Was at Scott's Bar & Grill for lunch with my team at work. 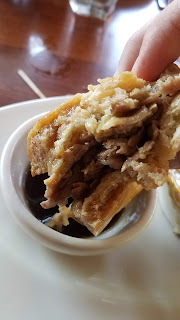 They had a lunch special that included the French dip so I got it, as did two other managers in my group: Aaron and Ryan. They knew I was into my French dip hobby. 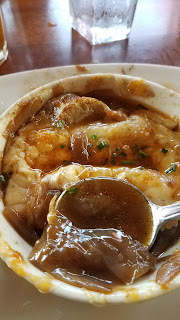 I was excited to get it with French onion soup. Scott's is known for their French Onion Soup. 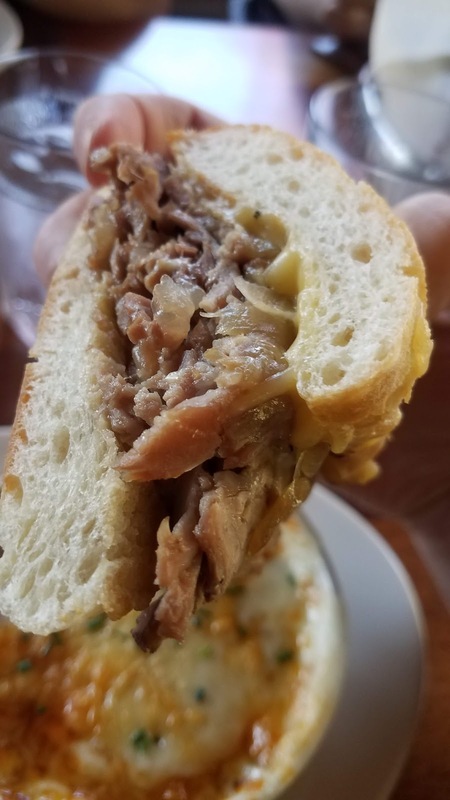 Good size with lots of beef for their French dip. 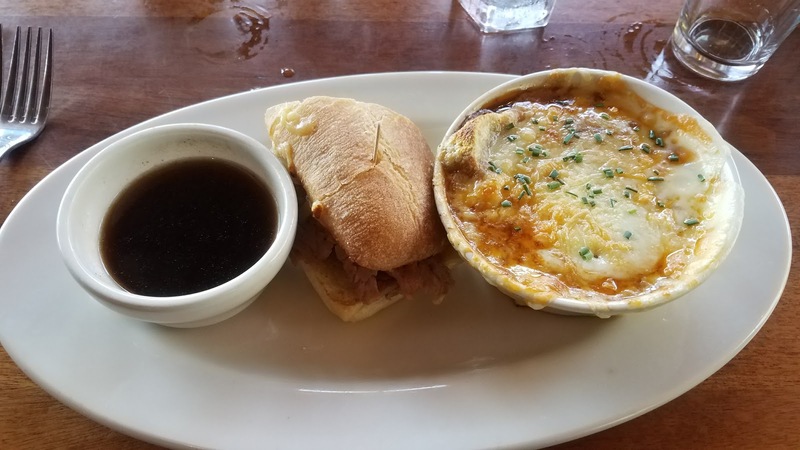 I started with the French onion soup, which was really good. Bread was only a 3. Kind of lackluster. Not the best French Dip around but the French onion soup was really good. Try something else.